Check out those card backs! 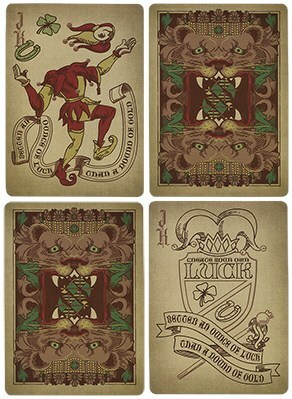 This deck is inspired by the coat of arms, and the "heraldry" feel surrounds all aspects of the deck. My favourite part: the card backs. 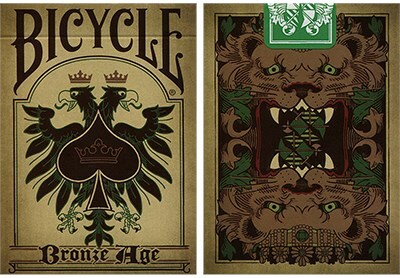 The design of the card backs has a lion, with its teeth gripping a square, the other side of which is a symmetrical picture of the same. Very nicely done! 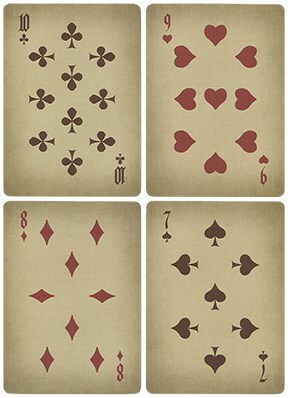 The face cards have a vintage look, which suits the theme. The arrangement of the pips is unusual, and also suits the theme well. 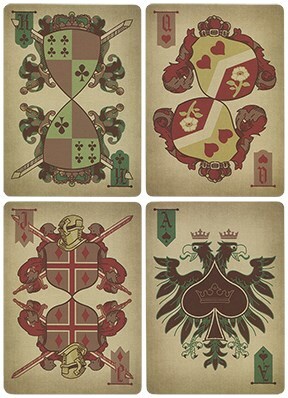 The court cards don't have the usual kings and queens characters, but heraldic shields. Very novel and interesting all round.